Psychiatrists are medical doctors who have undertaken specialised training in the treatment of mental illness. Their treatments are therefore of a medical nature and more often than not, involve medication. Clinical Psychologists undertake a first degree in Psychology and then specialised postgraduate training in psychological intervention. We do not prescribe medications, and usually work from philosophical premises that are not medically oriented. 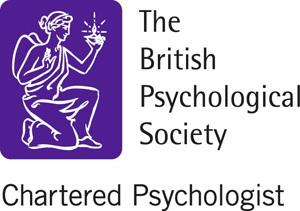 Clinical Psychologists are, however, scientist-practitioners. This means that our work is informed by the best available evidence. Sessions are completely confidential. There are only two instances in which I may be obliged to break confidentiality - if I think you may be at risk of harming yourself, or other people. In either eventuality, no discussions will take place with a third party without having discussed the issues with you first. Which is the best therapy overall? There is no 'best' therapy as people and their problems are highly individual. Having discussed your difficulties in our first assessment session, I will make suggestions as to what I consider to be the best course of action. In doing so, I will take into account the available evidence as well as your individual preferences. The final decision is yours as to whether you go ahead or not. The answer to this question depends very much on the nature of your difficulties. Many psychological problems are amenable to short-term therapy (i.e. 12 to 16 sessions) while others require a longer period of intervention (20 sessions or more). It also depends very much on the orientation we choose to work in. CBT is a structured therapy that lasts, on average, about 12 sessions and rarely exceeds 20. While it is possible to undertake focussed psychodynamic work of 16 sessions or so, this particular therapy can be open-ended. We will discuss together when it seems appropriate to end our work, but the final choice will always be yours. Do you see clients other than adults? No. I am a psychologist for adults. I see clients aged 18 and upwards into their most senior years. If you should need help for a child, an adolescent under 18, or someone with a learning disability or head injury; I am able to arrange a referral to an appropriate associate.